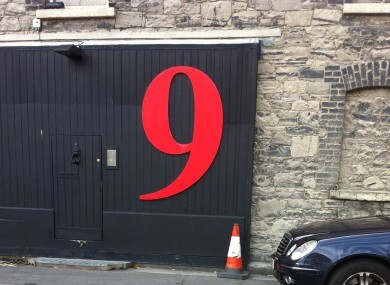 A photo of a warehouse on Hanover Quay in Dublin's Docklands, submitted by reader David Keeler. 1. #DRUGS: Two men have been arrested following a significant drugs seizure in Co Meath. Esctasy and cannabis with a value of €800,000 was seized from a house in Ashbourne. 2. #AVIVA: The UNITE trade union says it is concerned for several hundred jobs at the healthcare insurer Aviva, which is to transfer its European Headquarters from Dublin to London. The company employs 2,100 people in Ireland and it is unclear how positions will be affected by the relative downgrade of the Dublin office. 3. #EDUCATION: A review of second-level teaching has found that the Leaving Cert experience for most students is less about learning, and more about the struggle to simply “cover the course”. The ESRI’s review also noted that the average Leaving Cert student studied for four hours a night, and that girls felt the pressures of exams more than boys. 4. #FINGERS: Michael Noonan has insisted he is still looking for Michael Fingleton to return the €1m bonus he got in 2009 on his departure from Irish Nationwide. Noonan says he has urged the Irish Bank Resolution Corporation – into which Irish Nationwide has been merged – to continue seeking the return of the bonus. 5. #FOREIGN GAMES: A new Northern Irish textbook has caused upset among the Nationalist community after including hurling in a list of sports brought to the North from ‘other countries’. The Irish News says other examples of such ‘foreign games’ listed include baseball and Aussie Rules – even though the best-known medieval hurler, Cú Chulainn, being known as the ‘hound of Ulster’. 6. #UNITED NATIONS: Barack Obama has sought an urgent meeting with his Palestinian counterpart Mahmoud Abbas and Israel’s prime minister Benjamin Netanyahu, hoping to avoid a showdown at the UN’s General Assembly on Palestine’s bid for full UN membership. The US has pledged to veto any application at the Security Council level. 7. #DEATH ROW: Troy Davis has lost his final appeal against his execution – despite an international campaign, led by Amnesty International, appealing for clemency. Davis was convicted of murdering a police officer at a Burger King in 1989, but claims mistaken identity. 8. #SOMALIA: A radio station in Somalia has come under international criticism after offering AK-47s and other automated weapons as prizes in a public competition for children. Al-Shabab offered the weapons to children who could recite passages of the Quran. 9. #DEATH AND…: Benjamin Franklin once quipped that there are only two certainties in life: death and taxes. A French woman has been able to prove it – after receiving a note from the national tax office seeking the repayment of her grandfather’s arrears bill. Not only did her grandfather die in 1949, but the Daily Telegraph says the bill was for a whopping €13.